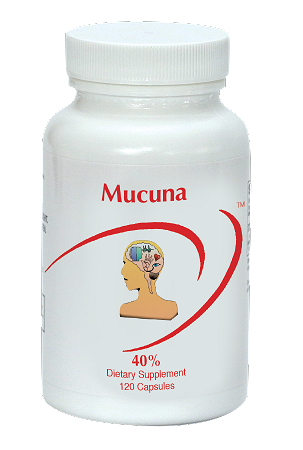 Mucuna 40% pills offer a natural source of L-dopa, standardized to 40%. Mucuna 40% pills support dopamine, norepinephrine and epinephrine (the catecholamines) production. The catecholaminesare associated with control of movement, balance, motivation, focus, addiction and the drive for reward.